Here is an example of bilingual Masters of Graduation Ceremonies (English and Bahasa Indonesia), intended to be used by Indonesian students, grade: SMP/MTs, SMA/MA/SMK and college. MC 1 speaks in English; MC 2 in Bahasa Indonesia. 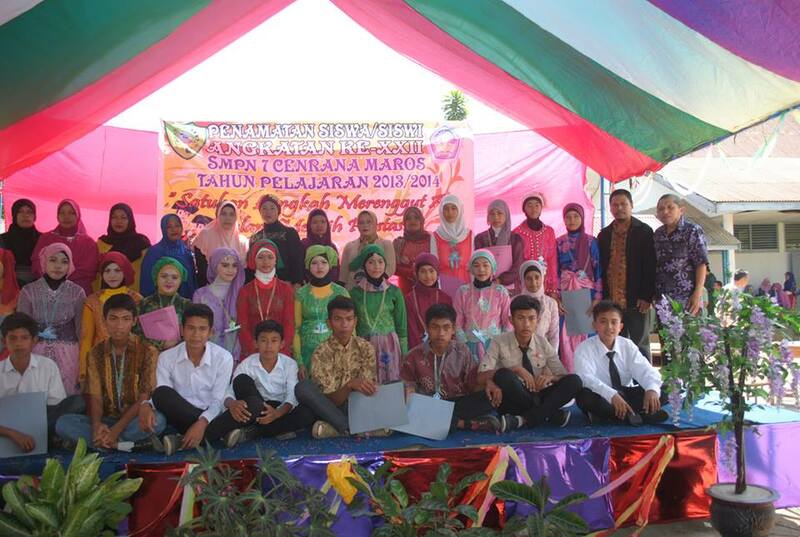 This MC script was taken from SMPN 7 Cenrana graduation ceremony in the 2013/2014 academic year, held on June 16th 2014. It was written by Soe_ http://www.soehaarrr.com ©2014_ SMPN 7 Cenrana Maros. For the students of SMPN 7 Cenrana, grade 9, please come to the ceremony place and have a seat. The head of Cenrana Sub-district and the staff. The headmaster of SMPN 7 Cenrana. First of all, let us say Alhamdulillahirabbil ‘alamin. 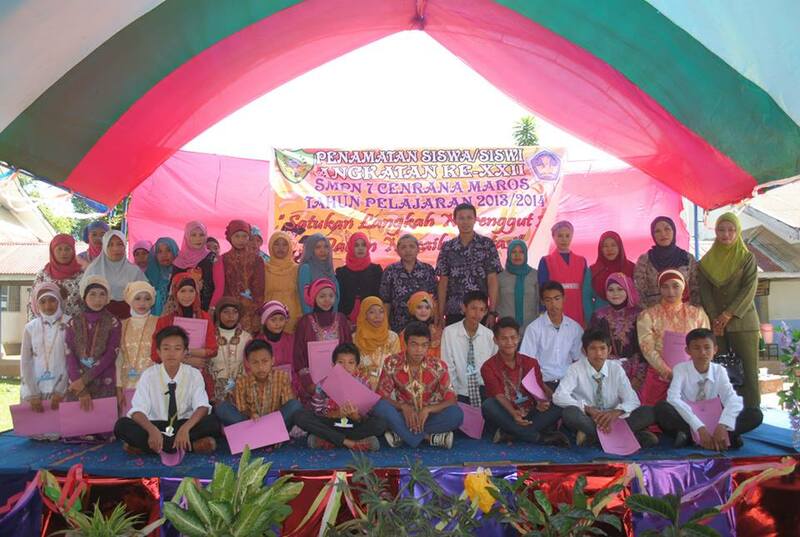 Let us praise to the Almighty Allah SWT, because of his Blessing, we are able to attend the graduation ceremony for the students of SMPN 7 Cenrana, on the 28th graduation, in the academic year 2013/2014… on Monday, 16th June 2014. Pertama-tama, marilah kita mengucapkan Alhamdulillahirabbil ‘alamin, karena atas keridhaan Allah SWT kita bisa menghadiri acara Penamatan siswa SMPN 7 Cenrana Angkatan ke-28, Tahun Pelajaran 2013/2014, pada hari Senin, 16 Juni 2014. Secondly, peace be upon our beloved Muhammad SAW, our last prophet who has guided us into the right way of life. Singing National Anthem… Indonesia Raya. Ladies and gentlemen, please stand up…. Menyanyikan Lagu National… Indonesia Raya. Before we go on this ceremony, let us see one of the performance of SMPN 7 Cenrana students. We proudly present… Paduppa Dance. Sebelum kita lanjutkan acara, mari kita saksikan salah satu persembahan siswi-siswi SMPN 7 Cenrana. Dengan bangga, kami persembahkan… Tari Paduppa. Terima kasih. Selanjutnya… dengan bangga kami persembahkan… Qasidah Rabana. Ladies and Gentlemen… we proudly present… Harvest Dance. Hadirin sekalian dengan bangga kami persembahkan “Tari Panen”. 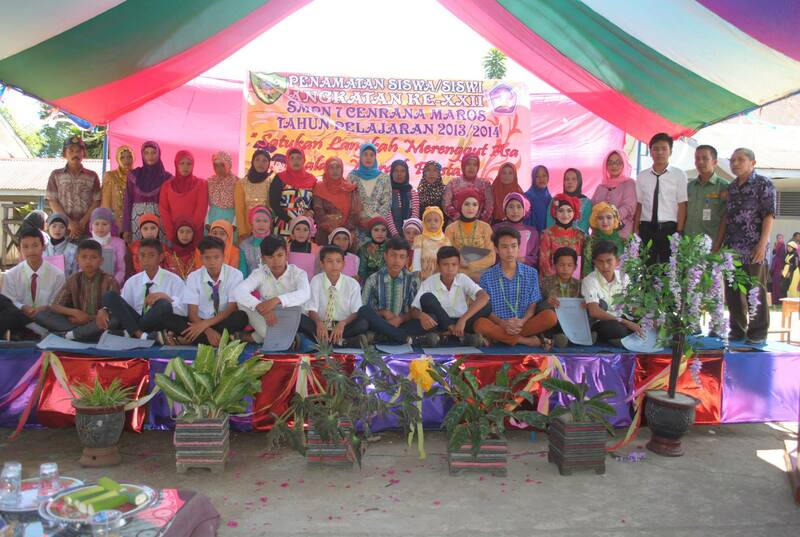 The inauguration of SMPN 7 Cenrana Alumni, in the academic year 2013/2014. This entry was posted in Artikel, Berita, Download, Education, Pendidikan, Pidato, Sekolah, Speaking, Speech, Uncategorized and tagged English Speech, Graduation, MC, Penamatan, Pidato Bahasa Inggris, SMPN 7 Cenrana. Bookmark the permalink.